Original Floral Fusion fragrance: fresh florals, sun-lit herbs and precious woods. 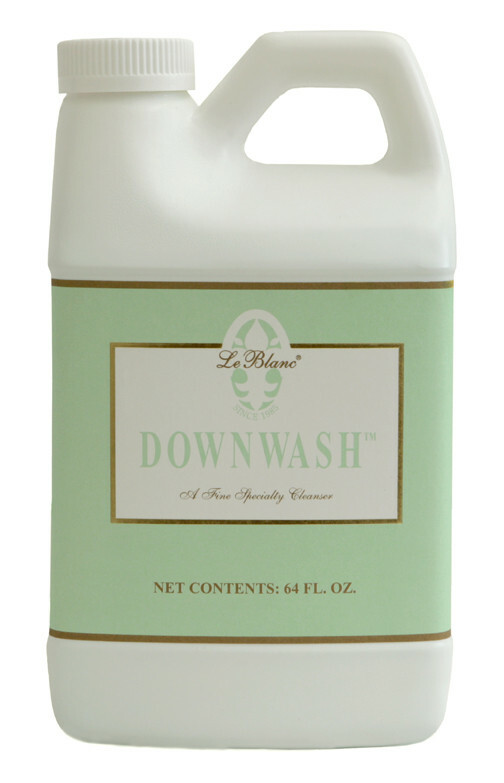 This low sudsing, neutral pH formula for down comforters, pillows and other washable down products helps protect the natural down oil from drying out. All LeBlanc products are low sudsing and safe for use on HE (high efficiency) machines. Each 64 oz bottle will clean 32 loads. To use, pour 1/4 cup Down Wash into a washing machine filled with cold water and wash as usual. Follow by thoroughly drying all down products on low heat. If desired, place two or three tennis balls in the dryer along with your down products to help fluff them as they dry. Normal drying time is three to five hours. Original Floral Fusion fragrance: fresh florals, sun-lit herbs and precious woods USA. Is it OK to use chlorine bleach or fabric softener when I wash my fine linens? Original Floral Fusion fragrance: fresh florals, sun-lit herbs and precious woods. 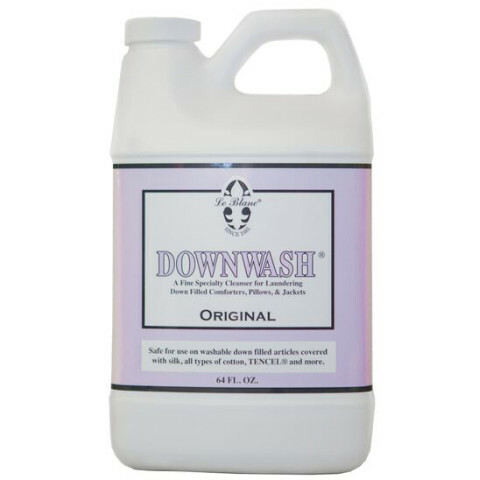 This low sudsing, neutral pH formula for down comforters, pillows and other washable down products helps protect the natural down oil from drying out. All LeBlanc products are low sudsing and safe for use on HE (high efficiency) machines. Each 64 oz bottle will clean 32 loads.<br><br>To use, pour 1/4 cup Down Wash into a washing machine filled with cold water and wash as usual. Follow by thoroughly drying all down products on low heat. If desired, place two or three tennis balls in the dryer along with your down products to help fluff them as they dry. Normal drying time is three to five hours. Original Floral Fusion fragrance: fresh florals, sun-lit herbs and precious woods USA.